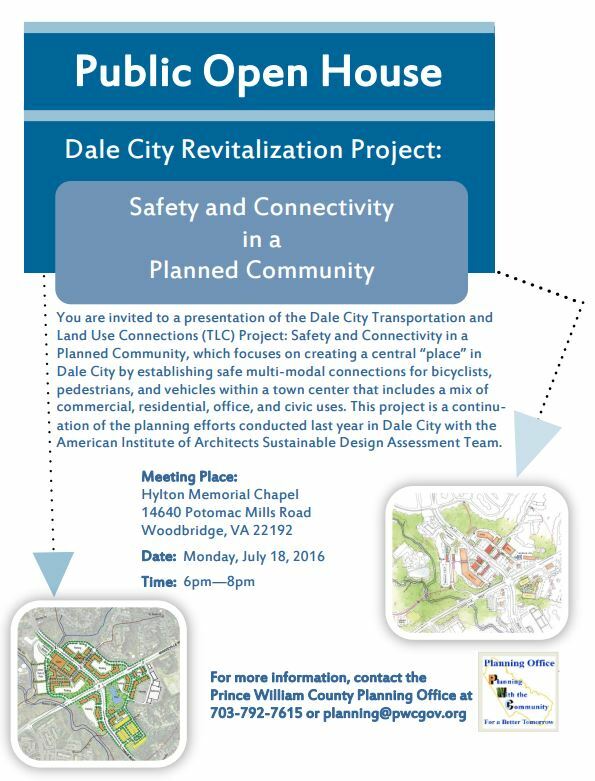 Prince William County is holding a public open house for a presentation on the Dale City Revitalization Project at the Hylton Memorial Chapel, 14640 Potomac Mills Rd, Woodbridge, VA on Monday 18 July, 2016 from 6:00 – 8:00 PM. 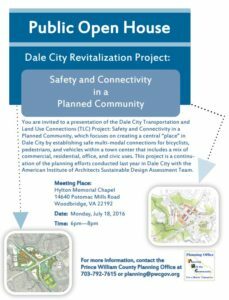 The presentation will focus on suggested improvements for revitalization of the Dale Blvd-Minnieville Rd area in Dale City that have been developed this year, with community input. 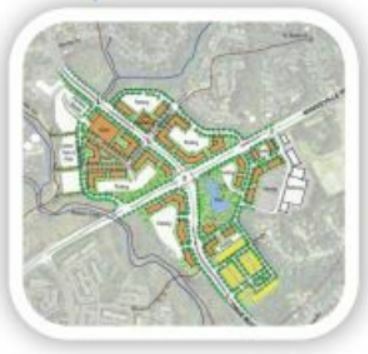 The Dale City Revitalization Project is a continuation of the planning efforts initiated by the Prince William County Planning Office beginning with last year’s American Institute of Architects (AIA) Sustainable Design Assessment Team (SDAT) report (link to report here). Issues identified in the original SDAT report include developing a sense of place for Dale City, addressing transportation deficiencies such as a lack of sidewalks, bike paths and connections to neighborhoods, revitalizing run-down commercial properties, and adding genuine community spaces. 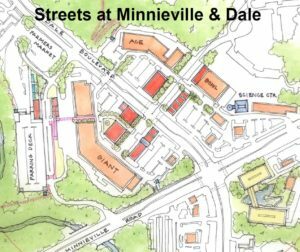 The SDAT report suggested a focus on two areas, the Dale Blvd-Maple Dale intersection, and what they termed, The Streets at Minnieville and Dale. 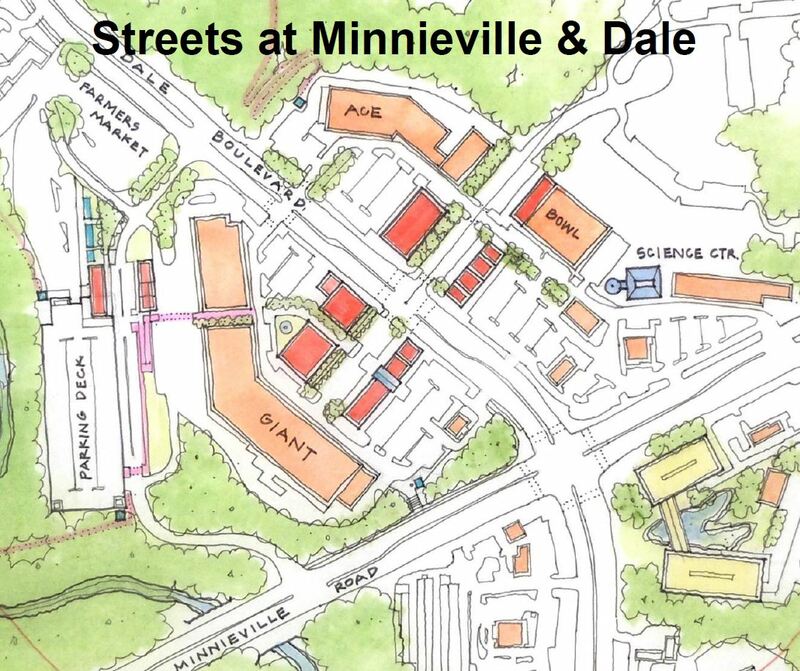 The County successfully submitted a proposal for a Metro Washington Council of Governments (MWCOG) grant for a Transportation and Land Use Connection (TLC) Project that has funded further planning work on “The Streets of Minnieville and Dale” design concept. The open house presentation will include details developed from this new planning project that were shaped through a process of community input.